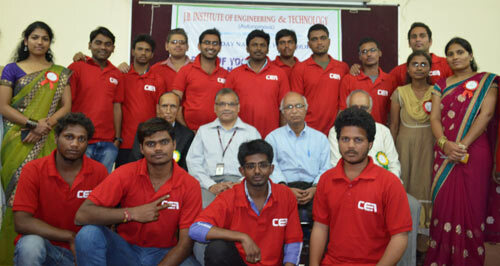 To strive to become a Centre of Excellence in the field of Engineering and Technology. 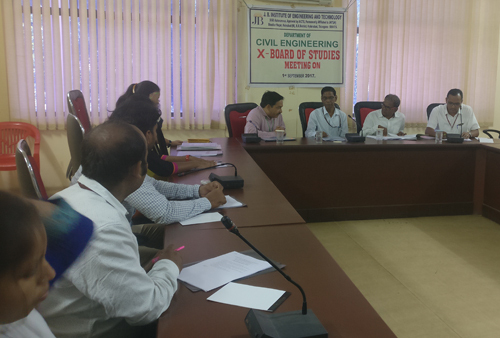 To foster industry institute interaction through dedicated project works and training programs. 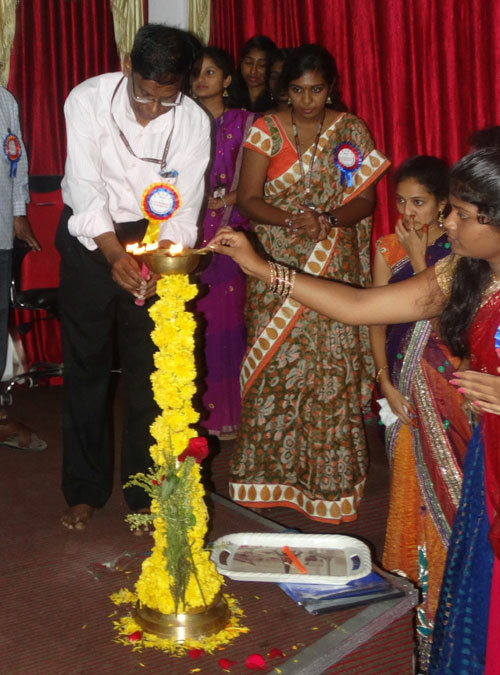 To make the students to effectively use the knowledge to conceptualize good designs. Motivate the students, to their full potential, in assimilation of the novel concepts to mould them into a world class Engineer. The department consists of modern laboratories of Surveying, Strength of Materials, Fluid Mechanics & Hydraulic Machinery, Environmental Engineering, Geotechnical Engineering, Concrete & Highway materials, GIS & CAD and Geology. The department is manned by a highly experienced faculty headed by Er. 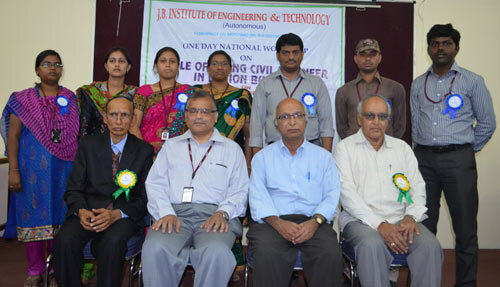 S. Venkateswara Rao, who had a rich experience in the Industry for 35 years in Irrigation & Command Area Development Department starting from Assistant Executive Engineer to Executive Engineer with fields of experience ranging from Projects construction, quality control and designs, with exposure in the field of teaching for 12 years. 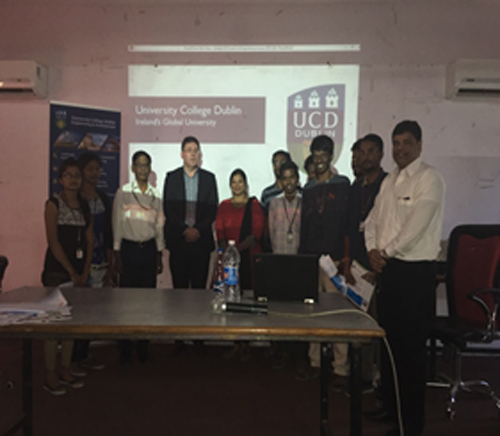 • One week faculty development program on ENGINEERING DRAWING with AutoCAD held from 28th June to 04th July 2018. • A one day work shop on SMART CITIES by Mr. PRAMOD G KULKARNI Chief Engineer Kalyan Divison Mumbai on 25th October 2017. 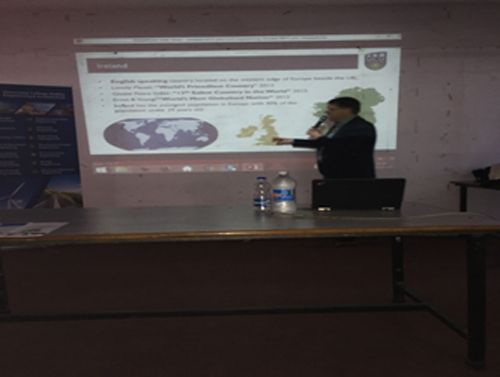 • A one day Workshop on ELEMENTS AND VISON OF CIVIL ENGINEERING by Dr. P V Dilip Kumar Associate Professor at Mahindra Ecole Hyderabad on 3rd February 2018. • A two day Faculty Development program on Revisit to Structural Analysis by Dr. J P George on January 20&21 2018. 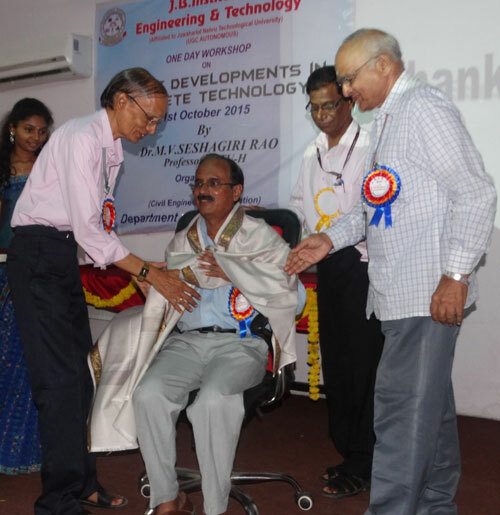 One day National workshop on “Recent Development In Concrete Technology” on 1st Oct 2015. (Key note lecture by Dr. P. G Satry, former Chairman, committee for Environmental clearence of Irrigation & Hydropower Project, Govt of India and former Director, NIT Warangal). 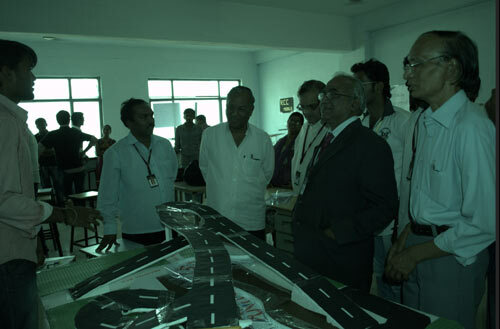 National Workshop “Latest Trends in Civil Engineering – 21st March 2012. 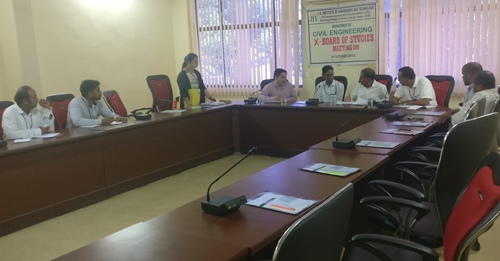 In 2014 L&T invited applications from our students for L&T Build India Scholarships. 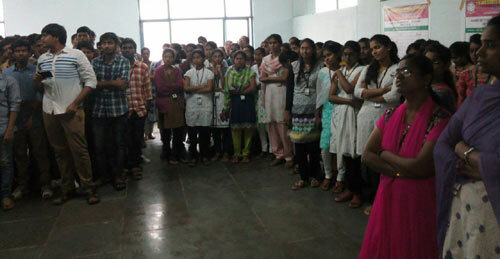 OG Analysis company conducted campus recruitment for final year students of B.Tech (2010-14) batch. Globarena online recruitment training module for final year students in 2011 for 2007-11 batch students. 28th June to 04th July 2018. 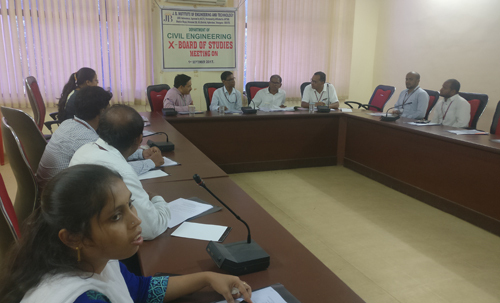 A two International Conference on “Recent Innovations in Engineering and technology”. Evalation of metakolin efficiency in binary and ternary cementicious blends of SCC. G.Priyanka(II/IV) Btech has secured first prize for giving presentation during water day celebrations conducted by the department of Civil Engineering J.B.Institute of Engineering & Technology 22 March 2017. G.Chakradhar and N.Srikanth students of JBIET has participated in the event “BUILD IT” and won SECOND prize in CINFRA’14, a National level student technical symposium, Organised by Department of Civil Engineering, MGIT( Mahathma Gandhi Institute of Technology) held during 7th -8th March 2014. K.Srikanth and T.Bavesh, Students of JBIET achieved FIRST prize in power point presentation in technical fest conducted by Bhaskar Engineering College (BEC) on 19th Mar 2014. P.Shravya Sri, Student of JBIET has participated in technical paper presentation in National Level Technical students symposium (TECHNOMIST 2K14) conducted by Mahaveer Institute of Science and Technology. 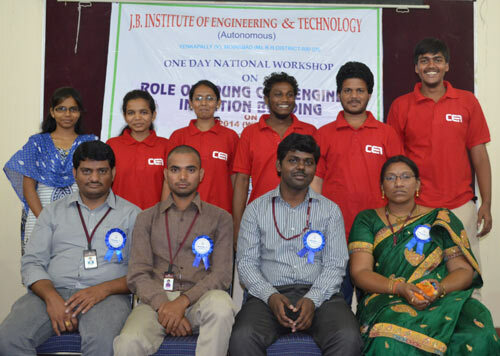 J.Vamsi, student of JBIET has participated in Model presentation and secured FIRST prize in Two-Day National Level Techno Cultural Fest conducted by Global Institute of Engineering & Technology. Five students of 2009-13 batch got placed in various construction companies and Sixteen students are pursuing their M.S/M.Tech courses. Fifteen students of 2008-12 batch got placed in various construction companies and Five students are pursuing their M.S/M.Tech courses and seeking suitable employment in abroad. 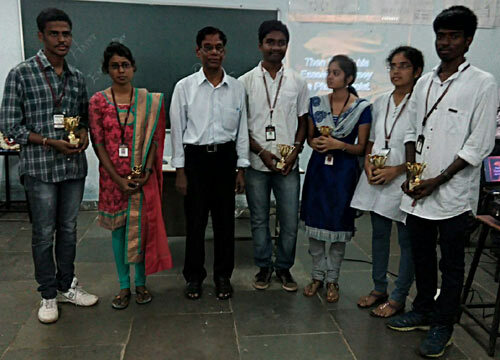 T.Bhavesh (12671A0149) Participated in the event of paper presentation conducted by MGIT, won First prize and also First prize from Bhaskar Engineering College.